By 2017, solar power capacity in the U.S. will have nearly tripled in less than three years, according to the U.S. Department of Energy. Combined wind, utility-scale and distributed solar power accounted for more than 66% of all new capacity installed in the U.S. last year. Already, more than twice the number of Americans -- about 209,000 -- work in the solar industry compared with coal and by 2020, that number will double to more than 420,000, according to the Solar Energy Industry Association. A home with Tesla's textured glass solar tile. PPAs allow businesses or homeowners pay a fixed rate for the electricity they get from their solar panels, which is typically is 30% to 40% lower than what they'd pay a utility for power. With those savings, solar power use is seeing double-digit increases annually in businesses, homes and electrical utilities. In 2016 alone, the U.S. is expected to reach 25.6 billion watts or gigawatts of electrical generating capacity -- all from converting photons from the sun into electricity. And this year, for the first time in history, solar exceeded natural gas for new energy installations. 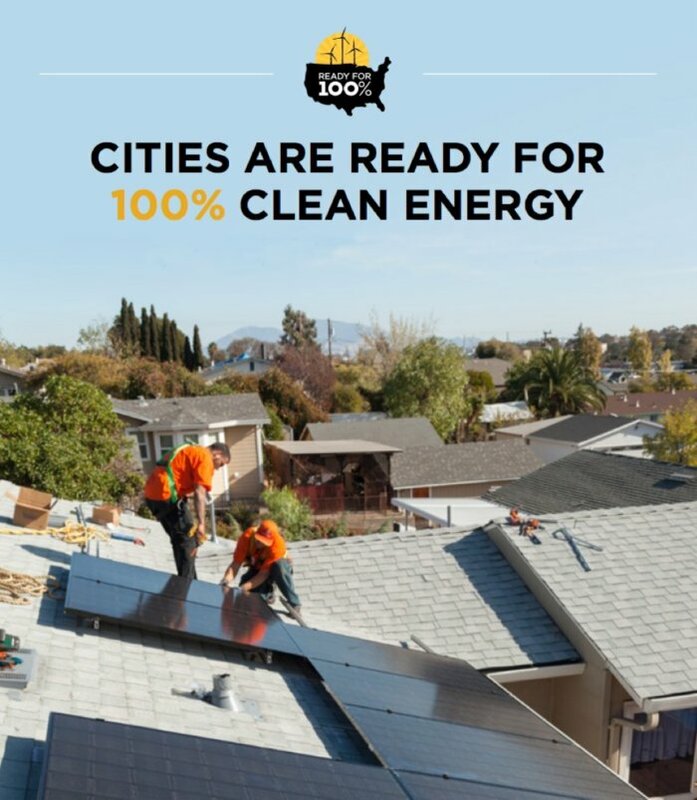 According to the Sierra Club's "Ready for 100" campaign, which details how clean energy's price has fallen 94% in the last eight years due to huge strides in research and investment, 20 major U.S. cities have committed to a goal of reaching 100% renewable energy use in the next 15 to 20 years. Burlington, Vt., Aspen, Colo., Columbia, Md. and Greensburg, Kans. have already achieved 100% clean energy and are powering their cities today with entirely renewable sources. 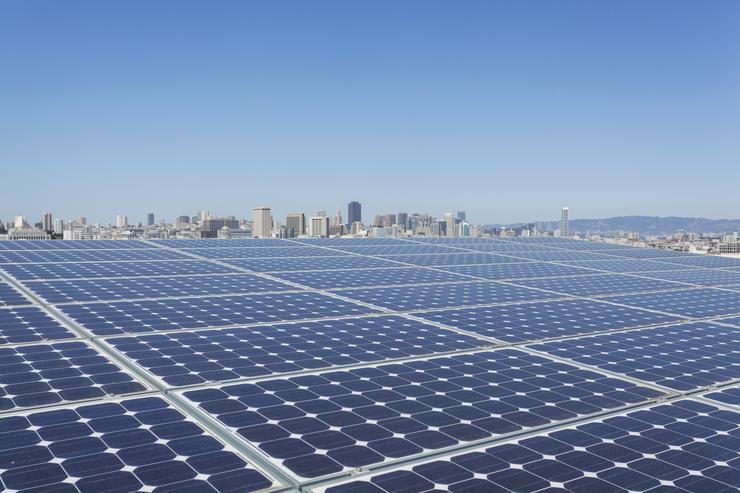 More than a dozen U.S. cities have committed to using 100% renewable energy. By 2021 the U.S. solar market is expected to pass 100 gigawatts of total power generating capacity. While 100 billion watts is a staggering number, it's still only a sliver of what the U.S. produces each year: about 4 trillion kilowatt hours of electricity. So solar still represents less than 1% of all electricity generated in the U.S., and all renewables -- including wind, hydroelectric and geothermal -- generate only about 14% of the nation's power, according to the U.S. Energy Information Administration. The rest comes mostly from natural gas (33%), coal (33%) and nuclear power plants (20%). While solar and other forms of renewable energy still amount to a relatively small percentage of all power generated here, it is the fastest growing energy source, a fact that also extends to markets worldwide, where renewable energy capacities are expected to increase by 2.6% per year through 2040. With that kind of growth, renewable energy is expected to supply 80% of U.S. electricity by 2050, according to the National Renewable Energy Laboratory, the government's primary agency for renewable energy research and development. While starting from a relatively low base, utility-scale solar generating capacity will have increased from 10 gigawatts at the end of 2014 to 27 gigawatts in 2017. That is an average annual growth rate of 39%, the highest among sources of renewable electricity generation. By 2040, coal, natural gas and renewable energy sources will provide roughly equal shares -- from 28% to 29% of world electricity generation -- a tremendous change from 2012, when coal provided 40% of all power generation, according to the Energy Information Administration. Businesses are also spurring consumers to buy into solar, making them offers that are hard to refuse. Elon Musk, founder and CEO of Tesla, recently announced the culmination of years of work to bring together the company's all-electric car business with its lithium-ion battery systems and rooftop solar panels -- a business collaboration it has had through SolarCity. Tesla just announced that it and soon to be acquired SolarCity will begin producing four types of solar roof tiles next year that can be tightly integrated with its home battery storage system -- Powerwall. Once a home has a roof made entirely of solar tiles, which look much like standard asphalt and slate shingles or terra cotta tiles, it will be able to get 100% of its energy from the sun, including the electricity needed to charge an electric car. Until Tesla made its announcement, only two other companies manufactured solar shingles in the U.S. In his news conference to announce the solar tiles, Musk noted that four to five million new roofs go up in the U.S. every year -- and 20 times that number are built worldwide. That is where Telsa will market the new solar roofs: for new construction or total roof replacements. If you've already got a serviceable roof, Tesla or another solar installation company can sell you solar panels, which may not be as comely but serve the same power generating purpose. Consumers are also increasingly moving away from long-term leasing or PPAs in favor of simply purchasing their rooftop solar. As factories ramp up production of rooftop panels and adoption increases, prices for installations have plummeted. Rooftop solar systems that cost as much as a luxury car five to 10 years ago now cost about the same as an economy car, or about $15,000 to $18,000, on average. And the return on investment for a solar system is now estimated to be about 7.5 years. The result: more people are gravitating toward solar ownership, according to EnergySage, an online marketplace that offers homeowners and businesses standardized quotes for solar installations from numerous companies. 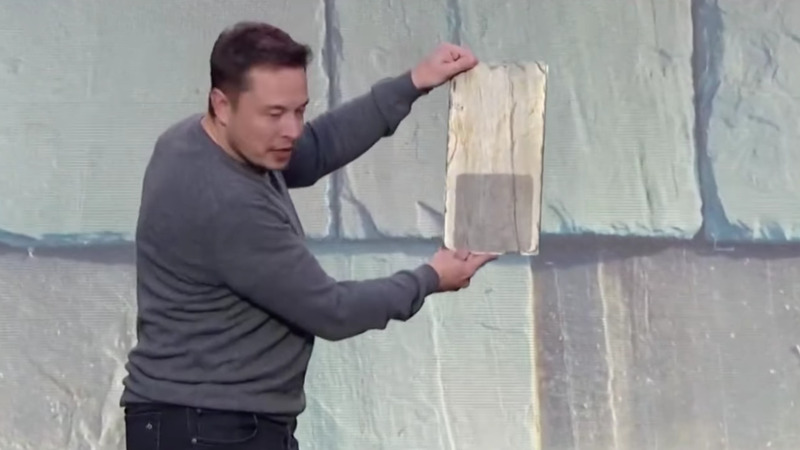 Tesla CEO Elon Musk holds a French-style slate solar shingle up against against the image of a completed rooftop. Even if consumers borrow money to pay for a solar system instead of buying it outright, they'll still reap 40% to 80% of the cost savings while paying off the loan, Vikram Aggarwal, CEO of EnergySage. While on average a solar lease or power purchase agreement will save a consumer about 30% of the per-kilowatt price charged by the solar system provider, purchasing a system allows the homeowner or business to reap 100% of the tax incentives and electricity that comes from rooftop solar. 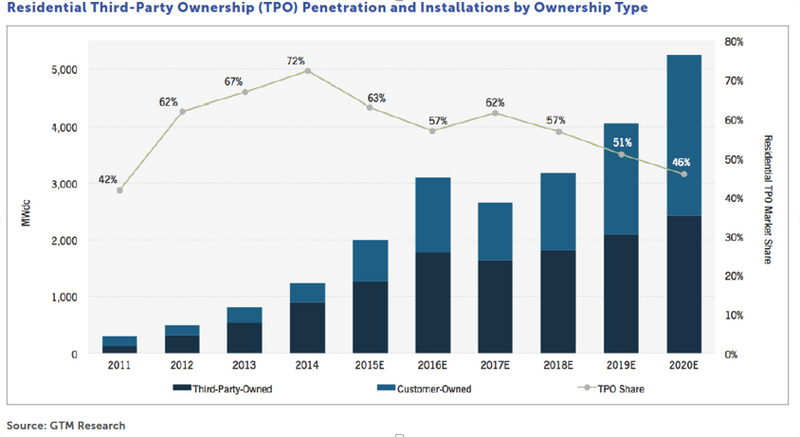 According to GTM Research, outright ownership of solar systems is expected reach 46% by 2020. With the introduction of new roofing products by Tesla and an ever-more appealing price point for the technology, 2017 will likely be a turnkey year for generating power from our sun.